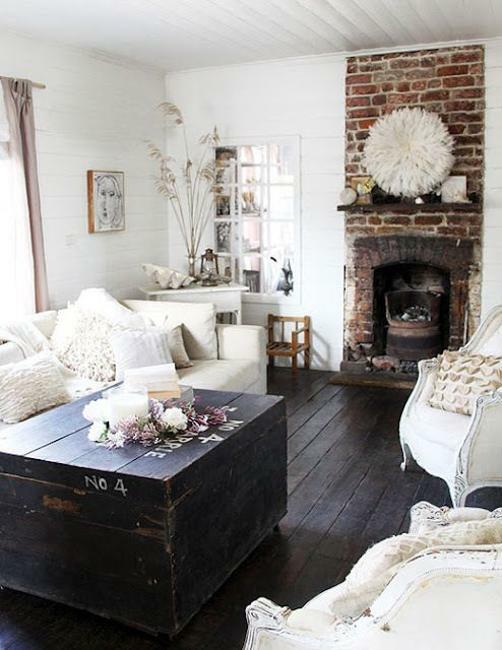 Shabby chic decorating with white, gray and brown colors can be very feminine, peaceful and comfortable. 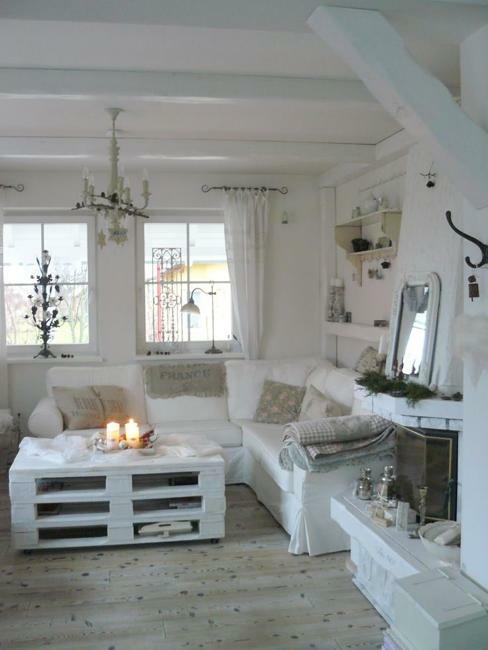 Shabby chic interiors in white, gray and brown colors look fresh and beautiful, inviting and familiar. 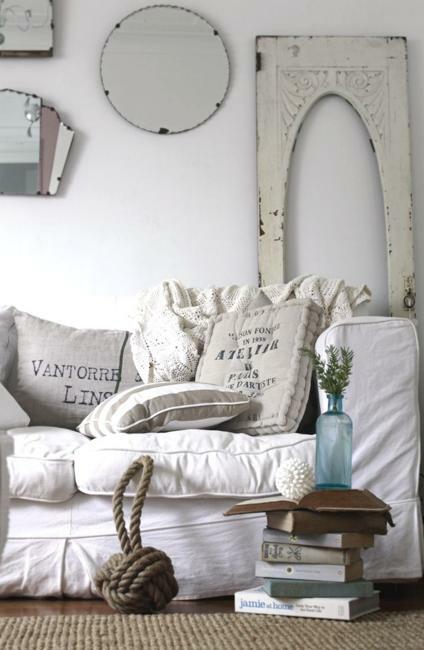 Vintage furniture, rustic wood and white decorating create amazing rooms celebrating quiet and soft shabby chic ideas for home decorating. 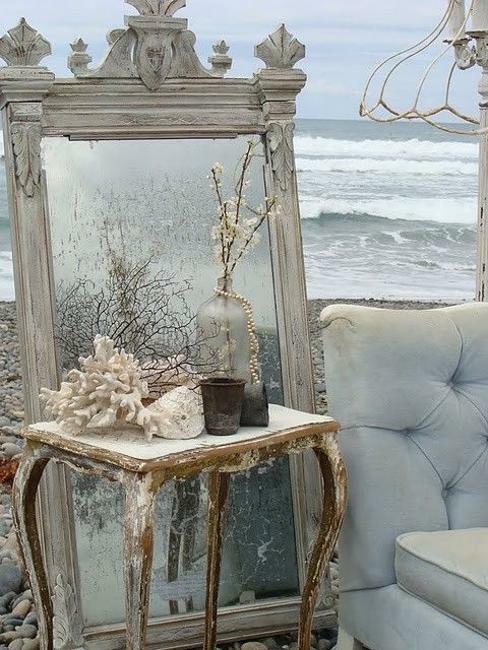 Shabby chic decorating calls for unique decor accessories, DIY and vintage furniture and pastel colors. 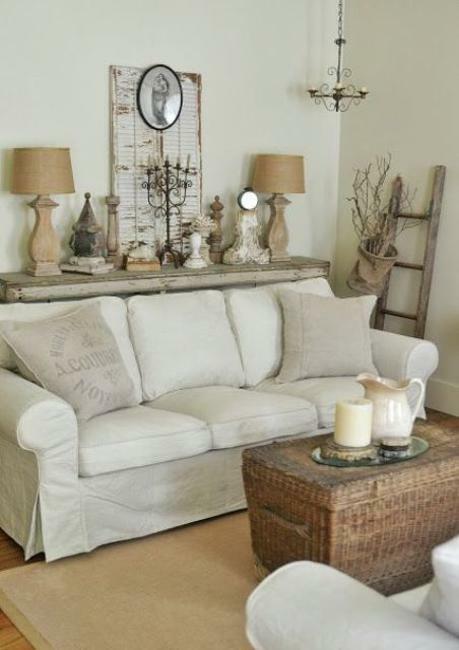 Decor4all shares a collection of shabby chic interiors created with white, gray and brown colors. 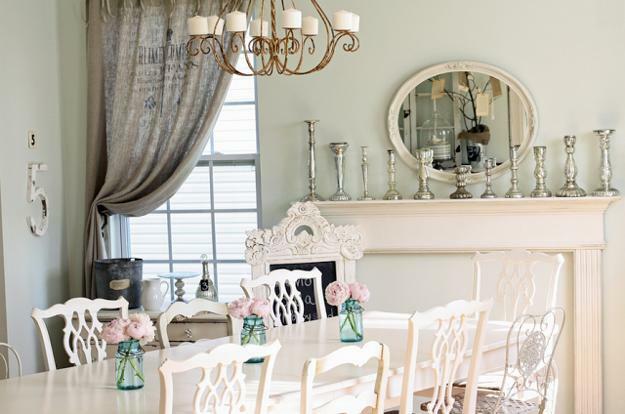 Instead of going with tender pink and blue colors, you can use comfortable light and dark brown colors with elegant gray color tones. 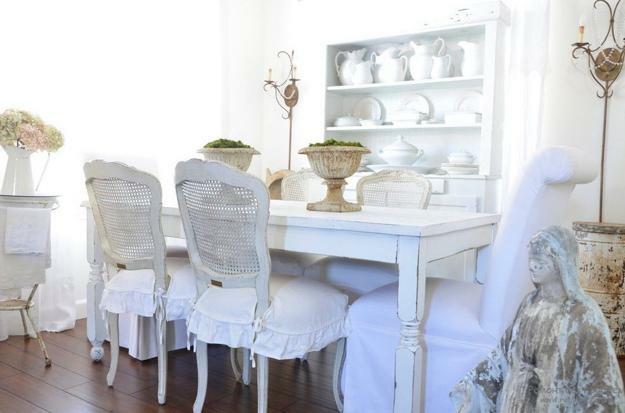 White upholstery fabrics and shabby chic furniture in white look fantastic with rustic wood furniture pieces and metal accents. 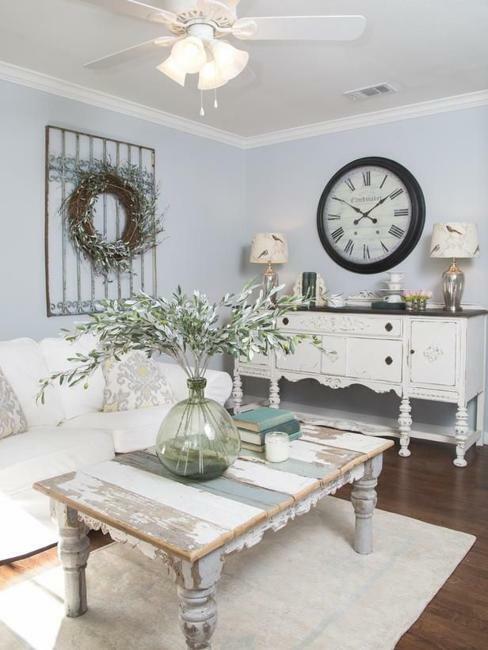 White decorating looks more interesting with contrasts of light gray color tones, light and dark brown colors, adding depth to shabby chic ideas. 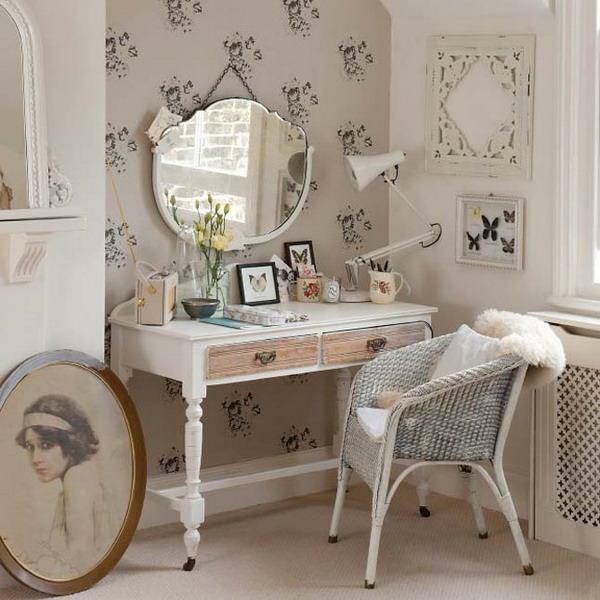 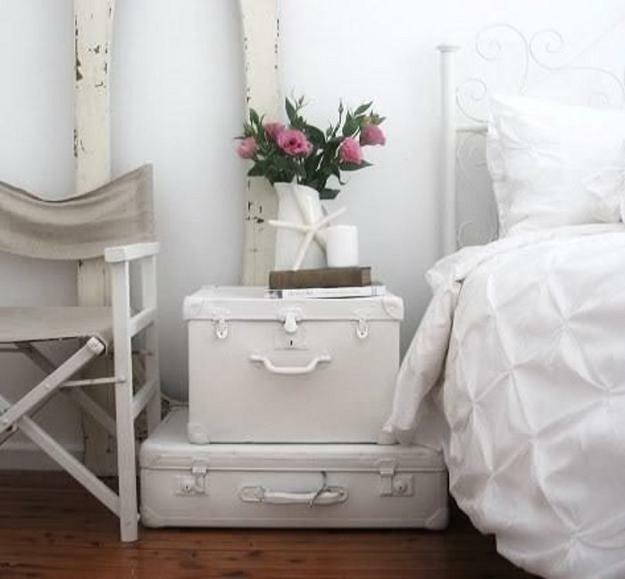 If you want to avoid floral prints, natural wood textures and metal accents can help add character and beautiful look to white shabby chic ideas. 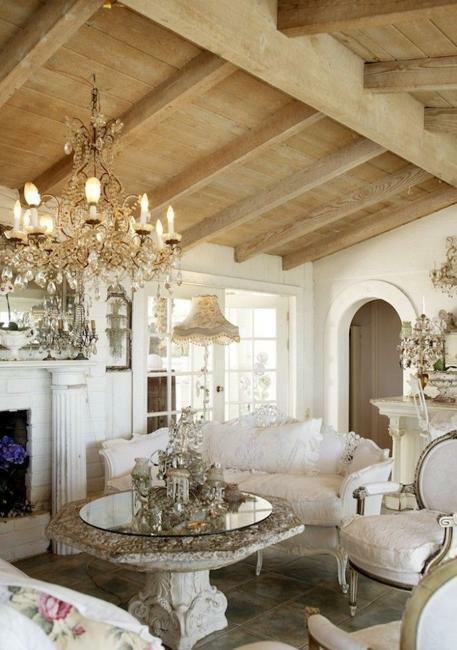 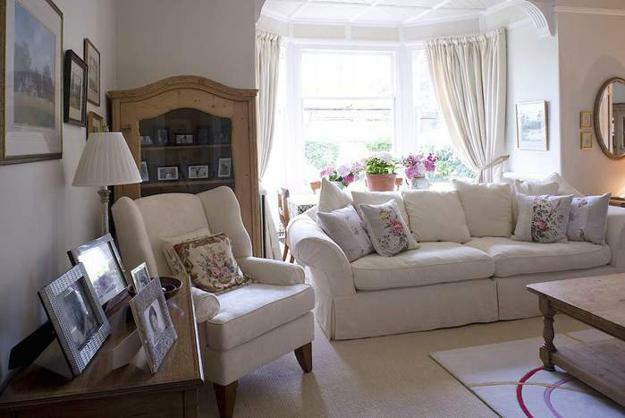 Light gray color is going to make your shabby chic ideas feel more sophisticated and elegant. 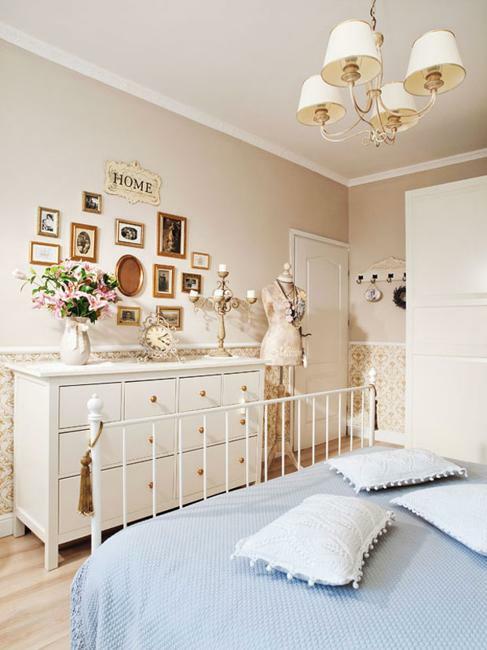 Light and dark brown colors bring comfortable and cozy look into shabby chic interiors. 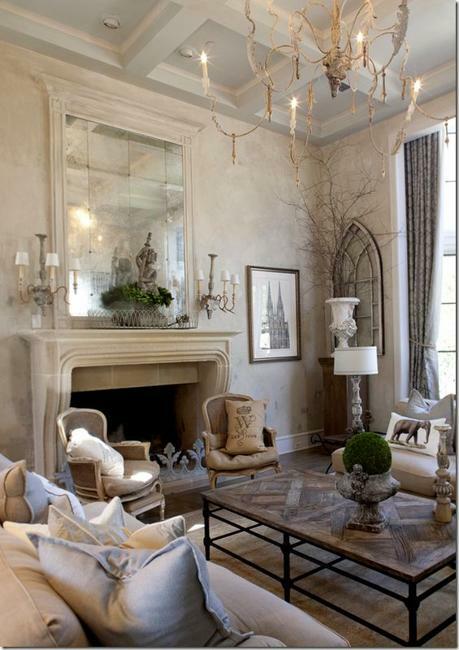 Candlesticks and lanterns, decorative pillows and throws, window curtains and wall shelves or rustic wood coffee table designs can bring elegant light gray and brown colors into shite shabby chic decorating. 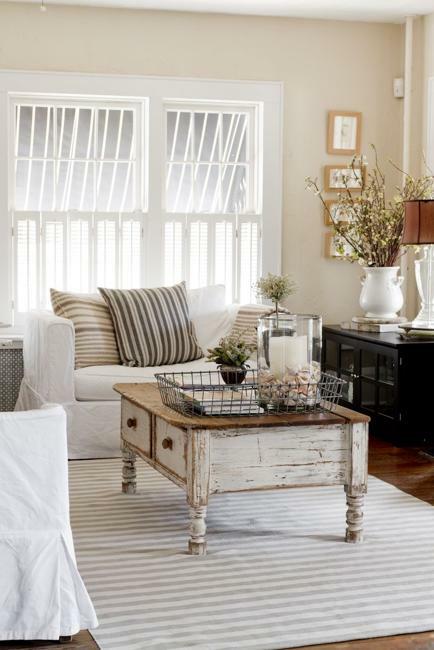 Stripes or plaids in gray and brown colors add more interest to white decorating ideas and spruce up shabby chic ideas. 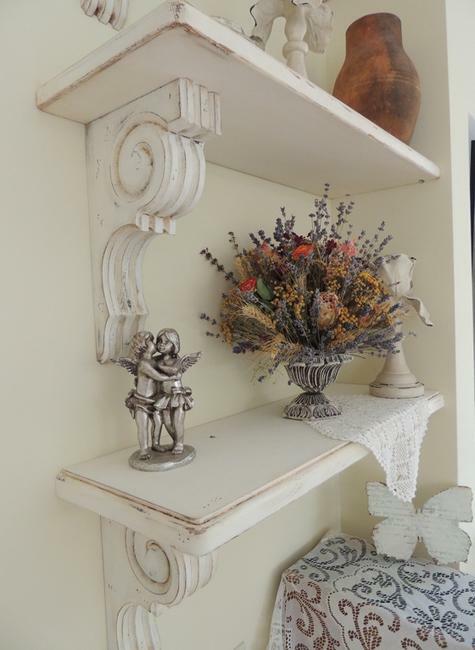 Gray and brown colors are an elegant and attractive way to bring masculine energy to romantic, tender and too feminine shabby chic interiors. 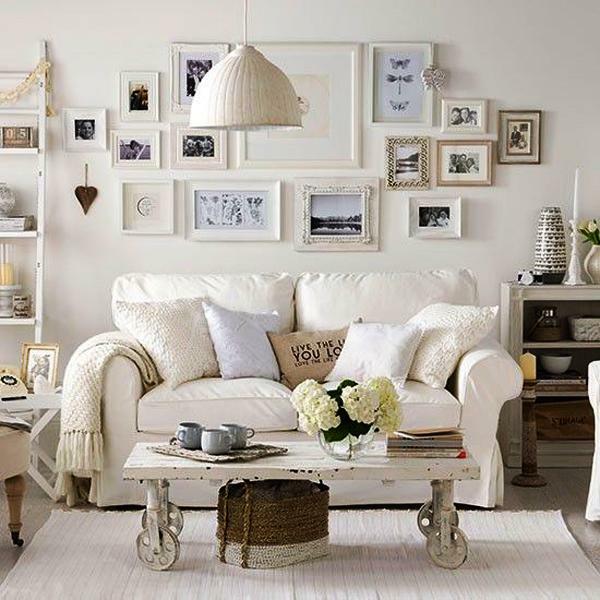 Too bright white decorating ideas can be attractively balanced with light gray color tones, light and dark brown colors, creating pleasant and harmonious room decor. 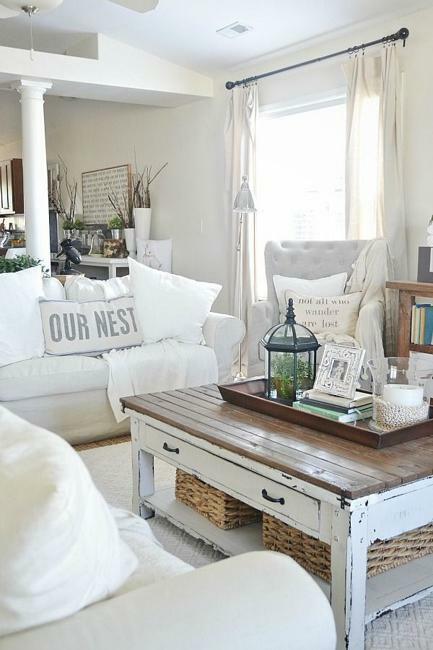 White and brown colors of natural wood look amazing together, offering perfect color combinations for elegant and peaceful shabby chic decorating.